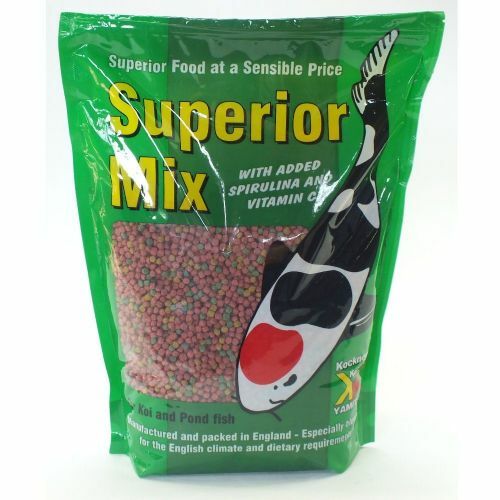 Kockney Koi / YAMITSU Bombay Mix is a complete food for all sizes of pond fish. 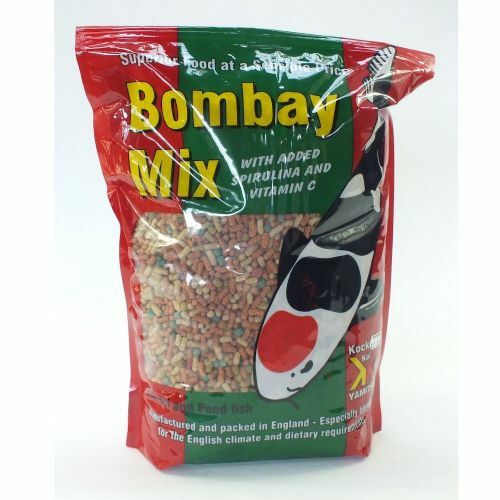 Bombay Mix consists of a blend of sticks and pellets from 2mm to 16mm. This is a complete two colour floating food stick that does not need supplementing. It encourages healthy growth and its added colour enhancer brings out the best in your fish. Kockney Koi / YAMITSU Aqua-Safe Waterproof In-Line Connector - a connector to suit cable DIA 5-9mm with 3 pole 250V plug and socket.